Can Romania be a future hub for innovation? There are reasons to say both yes and no, as Romania is a country with a high potential to bring innovation to world markets, but which is held back by a somewhat antiquated system, leaving the country in-between past and future. Let’s look at a few factors to have a wider picture of the country’s economic potential. The country’s GDP is at an all-time high and it is growing at just under 7% per year , making it one of the fastest growing countries in Europe. After the collapse of the Communist Bloc in 1989, the country opened up to international markets and investors and underwent major privatisations, which were criticised as they resulted in exploitation of resources and for being detrimental to Romanian people. Romania entered the European Union in 2007, which led to further reforms. Romania has attracted foreign investors for many years now, thanks to its lower prices, skilled workforce and ease of doing business compared to other countries in the region. Corruption is a notorious problem that has been hard to eradicate for many years, and which hinders many structural investments. Despite this, Romania has a relatively high quality of life, low unemployment and one of the fastest internet connections in the EU. The reason why all this is important is to understand the shift that is taking place, and that we can expect in the future, when analysing the country’s innovation potential. The Romanian economy for the past few years, since entering the European Union, has lent much of its workforce to foreign subsidiaries, helping to bring innovations to other countries. Its relative recent history as a free economy means that there is little knowledge of the commercialisation of services and products, while the knowledge has been vastly skewed towards the creation of products. Romanian students rank very high in mathematics. A European Union research facility will be built near Bucharest: ELI-NP (Extreme Light Infrastructure Nuclear-Physics): it is going to be the most advanced research facility in the world focusing on the study of photonuclear physics, which is set to have applications for a variety of sectors. This can turn the country into a centre for scientific and technical innovation. Romania’s future may now be in the hands of the private sector. The country has accelerated the development of its own startup ecosystem in the past 3-4 years, which helps capitalise on the local technical and scientific skills, and commercialise Romanian companies internationally. Romania is counting its first successes in terms startup funding, valuations and exits. Risk finance is available for the best projects, but it is still mostly unavailable to the majority of new companies. The Romanian Stock Exchange has even launched the AeRo market in 2014, allowing smaller companies to raise public funds, but few startups use or consider this option. Startup funding is on the rise and has spiked at the start of 2017, and recent fundraisings indicate even higher values for 2018, but despite the hype around these statistics, funding has peaked in some quarters because it was concentrated around a few gems that had large fundraising rounds. However, innovation and entrepreneurship is fed by success stories, and now that successes are starting to add up, it is clear that they are not exceptions, but instead we are beginning to see a shift in the country’s entrepreneurial activity, mainly in terms of quality of companies. We can then celebrate Romania’s first unicorn, as UiPath, a company developing robotic process automation software, has just raised $265m in its latest series C round. The company was born in Romania, and later moved its headquarters to the United States, but it is still considered a Romanian company, where it operated at a small scale for seven years before being exposed to international VC capital and beginning its hyper-growth story. This story alone illustrates how exposure to smart money is necessary for companies to realise their full potential. Just like UiPath, there could be many other companies with very valid products filling market gaps, which may fail because the founders lack the knowledge to commercialise them, or they lack the role models and successes of homegrown companies, which leads them to push harder and bring products to market faster. Changing this could turn Romania from an outsourcing country into an innovation hub. It is also becoming common for startups born here to seek capital elsewhere, move its headquarters where capital is found, and keep their technical employees here, where there is access to a skilled and low-cost workforce. 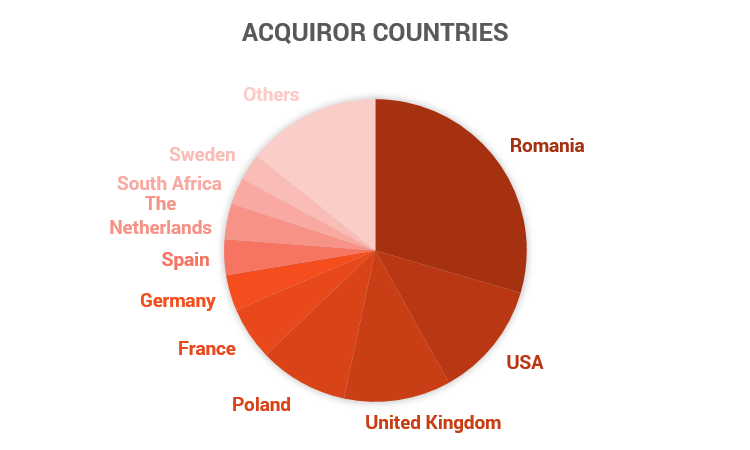 It also perceived as an advantage, when selling to international and global clients, to approach them from sales offices in Western Europe or the US to increase trust. 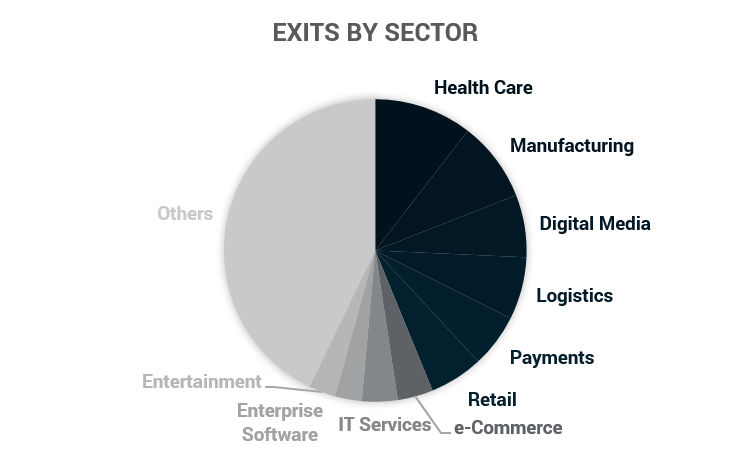 The sectors involved are still quite fragmented, but there is a clear concentration in local chemical and manufacturing companies, health care clinics mostly by a handful of highly acquisitive buyers, retail companies mostly bought by foreign groups, and digital companies such as digital magazines, payment companies and enterprise software. Over a quarter of companies were acquired by Private Equity Firms, while the rest were purchased by strategic buyers. As for PE firms, many of these were Polish or UK firms, while many strategic buyers came from the US, West European countries or South Africa. Indeed, Naspers, an international media group from South Africa, was responsible for one of the largest acquisitions, buying 70% of the e-commerce group eMag for $ 83 million. 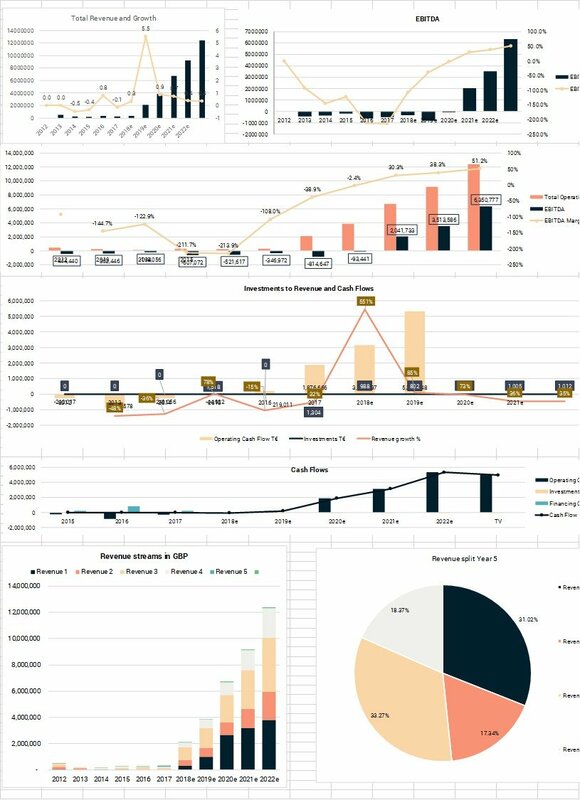 Instead, it is difficult to extract meaningful data from valuation trends, except for pointing out that most acquisitions are under $ 10 million, apart for few acquisitions of retail (Profi Rom Food), eMag, and TotalSoft (IT services). EV/Revenue values are mostly just under 1x, revealing low valuations also in cases of healthy profits. As for funding, valuations also do not show a linear trend, and we have few data points of companies headquartered in Romania with valuation data available. 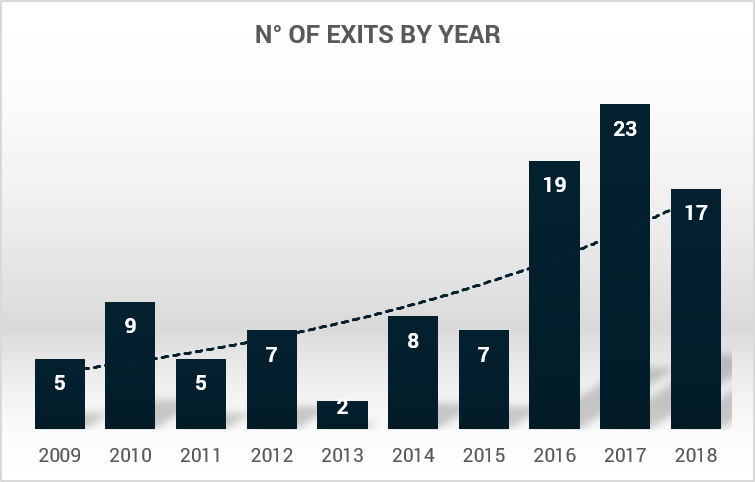 Startup funding rounds tend to stay under $ 1 million, and valuations just over $ 5 million for a few years after market entry, except for a few gems (e.g. Bitdefender, valued at $600 million at 17 years of operations). Stakes given away during funding rounds, however, are between 12.5% and 15% in most cases, at least for early-stages, and seem therefore in line with international standards (16 data points found overall).